Add style to your bathroom with Visby. This set of 2 bath mats combine playful prints and functionality – at an affordable price. Part of our MADE Essentials collection, Visby is designed to fit your needs. It’s crafted from 100% cotton, so it’s easy to care for and dries quickly. 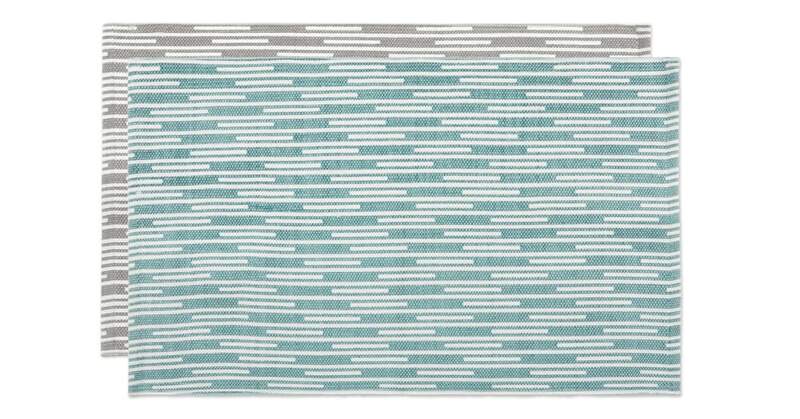 A set of 2, Visby’s broken stripe print comes in ash grey or aqua. Both of the subtle shades will update your space with a Scandi twist.